Good landing pages are focused on one thing, NOT twenty. This means that every page on your site is potentially a “landing page.” But not all landing pages are created equal. In marketing, when we talk about landing pages, we’re really talking about highly focused web pages, usually built for a very specific purpose. Unfortunately, most websites are not built by web designers with marketing skills. This results in poorly optimized and loosely themed pages that don’t commit to any one thing. 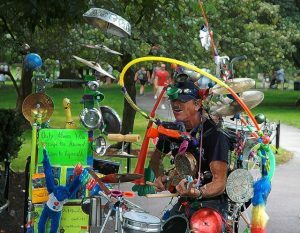 Kind of like our “one man band” in the photo above. Let’s just say you were looking to hire a guitarist, do you think this guy would be best suited for the job? Probably not. But why not? I mean… he is a performer, playing the guitar. The problem is, he’s all over the place, doing ten different things. Meaning, he’s probably not the master guitarist you’re wanting to hire. When you lump all of your services on one page and call it a day, you’re making a potentially costly mistake. A mistake that many businesses make all the time. Let’s look at a real example from one of my clients that made this mistake with their site. For years, their website never brought them any new business. They had a poorly thought out website with all of their services lumped onto one page, as seen below. Just listing all your services is a missed opportunity for your business. Now, if those services were links to landing pages for those services, then you would be doing it right. Here’s how I fixed this problem for the client and turned their crappy old website into a money making, sales machine. We looked at all the major services they offered and created separate landing pages for each of them. I did some keyword research to verify that Google was reporting search traffic for each keyword (service) we wanted to focus on. Notice how there is an individual page for each service in the dropdown. This strategy had game changing results for the client. They now had a viable marketing channel where there was none before. The phone started to ring. Email inquiries came in, and they were caught a little off guard. Read more about the case study here. When your web page is not about any one thing, it’s diluted. It has no real focus because it’s about everything. Why is this a problem? If your page is about 10 services and your competitor’s page is about one specific service, matching what your prospect is searching for, your competitor’s page will outrank yours. If you’re not using a tight landing page strategy and your competitors are… you won’t stand a chance–and you will be taken out. That’s a fact. 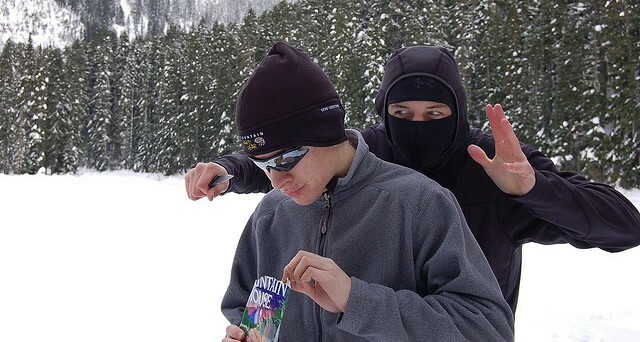 Your clueless web page is no match for a competitor using ninja-like marketing strategies. If your business offers a variety of services, it’s usually in your best interest to create dedicated landing pages for individual services. Your website should be your most valuable marketing tool. When you learn how to effectively leverage your website content to market your services, your business will improve substantially. Let’s recap the benefits of using landing pages? Exponentially broadens the opportunity for people to find you via search engines. Provides a better user experience because you’re giving visitors pages tailored for exactly what they’re searching for. Higher conversion rates because you’re giving visitors pages focused on precisely what they searched for. Using highly focused, relevant landing pages is a smart strategy for any business wanting to compete in todays competitive market place. I would love to know what you think, please comment or ask a question. That is a amazing article. very inspiring! Amazing job. Hi Jordan, this was a great article. Thank you. I am starting to lean more towards affiliate marketing than ecommerce which is what I have been doing. I totally understand about different landing pages but lets say I have 5 different products all under a general health care menu and then I want to drive traffic to just one of those pages what would the link look like to drive traffic? Link would look like, “example.com/some-health-service” Make sense? Thanks Jordan, very much appreciate the fast reply! I have often been told that if I want to be successful at online marketing I should do what Amazon does. But when I click on any Amazon ad I end up on a page that is loaded with outgoing links, colors, fonts and most importantly products other than the one that I was searching for. On most ad blogs I am told that this strategy is incorrect and that I should have a dedicated landing page with a clear call to action and no outgoing links. So who is right? A billion dollar company or all of these marketing experts. I am trying to do this right and I appreciate your feedback. Thank you. Hey Jeff, that’s a really good question and a valid point. In general, I would tend to agree with the strategy of having less distraction and clear calls to action, guiding your prospect towards the end goal. I do not know what you are selling, but the advice you spoke of is indeed sound advice. The thing is, you are not Amazon and what works for Amazon doesn’t guarantee that it will work for you. I happen to agree with your point about Amazon being loaded with distraction. Providing a clear path towards conversion with limited distraction will almost certainly serve you better. However, following those conversion principals alone, doesn’t guarantee conversion. You need to understand your buyer and your market. Your copy has to be effective and your brand must appear trustworthy. So, what are you selling Jeff? I actually work for a fence company and we started an online store. I had an adwords campaign going but i paused after reading about landing pages. when i feel more comfortable about what i am doing i will resume. thanks for the response. I just re-read your post. You are going to want to direct your visitors towards landing pages for sure. For example, if you are selling deer fencing. You would want to send visitors to a “deer fencing” page via targeted ads. Make sense? 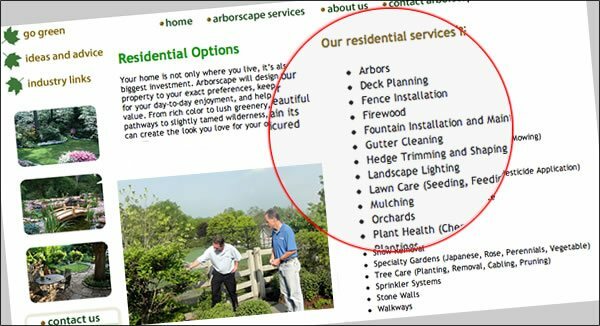 You would not want to run ads for cedar “Euro style lattice fencing” and then send people that click on your ads to your home page. That would be the ultimate rookie mistake. You want your ads to match the page you are sending visitors to. That’s why you need landing pages for all of your main services or products. Not just for ads, but also for people to land via search. In the latter example, you would want a landing page for “Custom Iron Fencing,” as apposed to one service page that lists 10 different types of fencing you offer, with “custom iron fencing” being just a mention. The more specifically your page speaks to the target audience’s needs, the better your page will perform in paid placement AND organic search. The end game is ALWAYS to provide a great solution or answer to a prospect’s problem. A great landing page does this with excellent images, great copy, video, customer commentary (testimonials), samples of your work, etc. Great article. Thank you for taking the time. I created a site for a plumber. 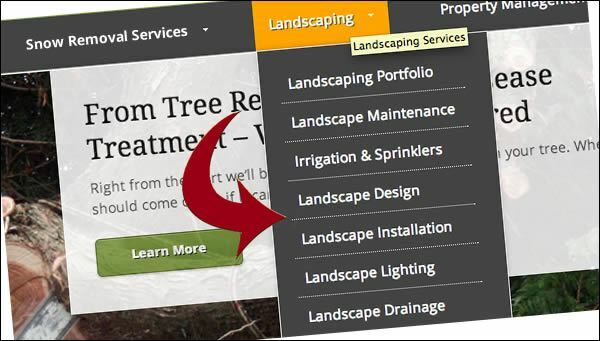 We have very specific landing pages for services, and they are all in the main navigation menu. However, I did list all of the services along the right side on every page. Is that a no-no as shown in your rookie mistake picture? Should I remove it from the template? Also, what software/service do you use to check out competitors? Thanks for you comment. I think what you did makes perfect sense. What I was describing as a “rookie mistake” was the act of listing all of your services on one page and calling it day without linking to landing pages… without having landing pages for that matter. You see this all of the time. Lot’s of services listed, but no specific pages for those services. I’ve updated the caption of my photo to better clarify that point. So the idea of interlinking your pages by providing a secondary menu of sorts in your right sidebar is helpful to search engines, but more importantly, it’s helpful to your visitors which I think is most important. Providing a better user experience is a big part of SEO today.